I carried the Spec-Ops THE Wallet Jr for four or five years. It’s certainly well made and, other than the tags I cut off of it, looks the same as the day I bought it. But it’s bulky, heavy, and carries more than I need. Primarily because of the bulk, I went looking for a slimmer wallet, settling on the Eagle Creek Slim Wallet (which now seems to be a discontinued product). In another couple months it will have seen a year of use. The Slim Wallet is made out of 420D Double Box HT nylon, which so far seems tough enough to survive my pocket: there is, as of yet, no noticeable damage to the wallet. It’s simple interior consists of a billfold, clear pastic ID window, and three card slots. There are actually three additional slots inside the wallet. I don’t think these were intended as such (instead they seem to just be byproducts of how the wallet was sewn), but they work to carry additional cards or hide small items. As the name implies, the wallet is incredibly thin. Perhaps not as thin as an ALL-ETT wallet (I considered one of those, but wasn’t convinced as to the durability), but a huge improvement over the Spec-Ops wallet. This took some getting used to. After years of carrying a bulky wallet, I was accustomed to feeling the wallet in my pocket, which provides some sense of security. The Slim Wallet is slim enough so that you don’t always notice that it’s there. My only complaint about the wallet is that the billfold is just as wide as a Federal Reserve Note, which makes it somewhat tricky to get the bills in there. 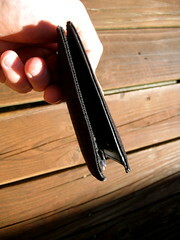 If the wallet was half an inch or so wider, bills could be more easily slid inside. 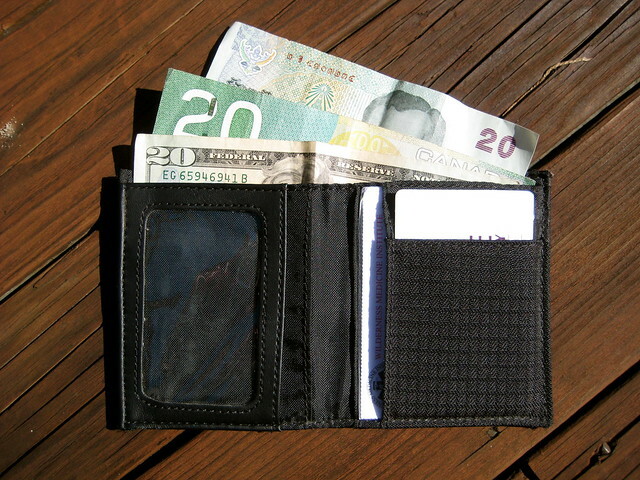 I carry a few items in the wallet in addition to the normal cash, few cards, and ID. 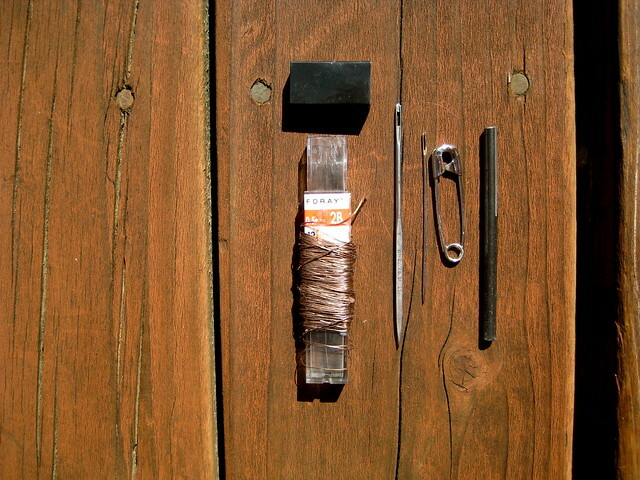 There is a small repair kit, which consists of a #17 sailmaker’s needle, a #5 crewel needle, kevlar thread, a small safety pin, and a very small misch-metal ferro rod. All of these items tuck nicely inside the wallet’s hidden slots and add no noticeable weight or bulk. 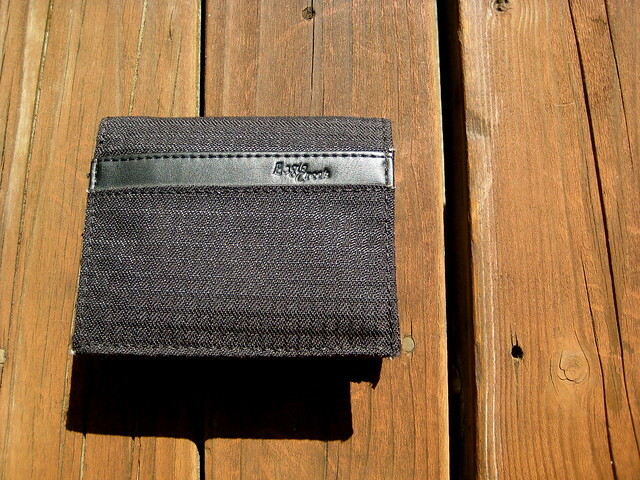 For more ideas about urban wallet survival kits, check out TEOTWAWKI blog. This post was published on 2010-09-14 . It was modified on 2012-09-15 . It was tagged with edc, review, gear.